Foot-and-mouth disease (FMD) is a highly contagious disease that affects all susceptible cloven-hoofed animals, resulting in considerable economic losses to animal industries worldwide. Numerous categories of enzyme-linked immunosorbent assays (ELISA) have been developed and widely used to evaluate herd immunity. Manufacturing inactivated FMD virus (FMDV) as a diagnostic antigen requires a facility with a high level of biosafety, but this requirement raises concern on viral leakage. 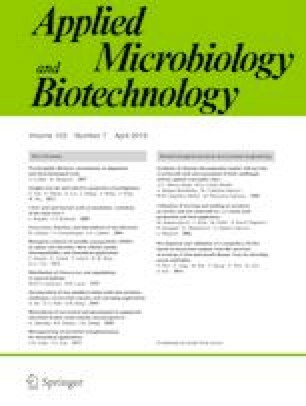 In our previous study, bacterium-original FMD virus-like particles (VLPs) resemble the authentic FMDV and induce protective immunity against homologous viral challenges, thereby demonstrating that they are sufficiently safe without limitations on biosafety facilities and easily prepared. Herein, we developed a competitive ELISA (cELISA) based on FMDV-VLPs as a diagnostic antigen to evaluate herd immunity. The criterion of this cELISA was determined by detecting panels of positive sera with different antibody titers and negative sera. The working parameter of cELISA was optimized, and samples with a percentage inhibition of ≥ 50% were considered positive. The specificity of cELISA to test 277 serum samples with various antibody titers was 100%, and the sensitivity reached 96%. The coincidence rates of cELISA with a VDPro® FMDV and a PrioCHECK® FMDV type O antibody ELISA kit were 97.8% and 98.2%, respectively. Repeatability tests demonstrated that the coefficients of variation within and between runs were less than 7% and 14%, respectively. Our data demonstrated that cELISA based on bacterium-original VLPs had high specificity, sensitivity, and reproducibility. The cELISA could also be used for evaluating vaccination herd immunity effects, especially in developing countries. Xuhua Ran and Zhiyuan Yang contributed equally to this work. XR contributed to the preparation of the manuscript. ZY, HG, and MB designed this analysis. ZY conducted the experiment. XR, XW, and ZY reviewed records. ZY, XR, HG, and SS analyzed the data. ZY and SS prepared the materials. All authors reviewed the manuscript and approved the final manuscript. This study was supported by the grants “the National Key Research and Development Program of China (2017YFD0501100, 2016YFD05007000)” and the Graduate student innovation fund of Heilongjiang Bayi Agricultural University (YJSCX2017-Y43). All of the animal experiments were conducted in accordance with the regulations for the administration of affairs concerning experimental animals approved by the State Science and Technology Commission of the People’s Republic of China.